HOW TO GET THE MEDAL OF VALOR? Soldiers are men fit for all behavior of services, they suit best to provide support and bear the countless struggles and unending hazards of their battles called war. Nap is their best armor. According to Ronald Reagan, some people live an entire lifetime and wonder if they have ever made a difference in the world. Be with him the glory for the great difference he made. A soldier's blood makes the glory of the general. Yet, a general's curse is for a subordinate in a sweet and creative catnap. For Winston Churchill: Never give in -- never, never, never, never, in nothing great or small, large or petty, never give in except to convictions of honour and good sense. Never yield to force; never yield to the apparently overwhelming might of the enemy. But, no one can ever give up in slumber. John F. Kennedy was quoted: A young man who does not have what it takes to perform military service is not likely to have what it takes to make a living. But living requires a good napping. He deserves it. General Douglas Mac Arthur claims in war there is no substitute for victory. For some, in life nothing can replace rest, which is break, relax in other words - sleep. For Thucydides: Be convinced that to be happy means to be free and that to be free means to be brave. Therefore do not take lightly the perils of war. To have extra time of sleep means more than being happy. Being in the service of army is like being in the Boy Scouts, except that the Boy Scouts have adult supervision. 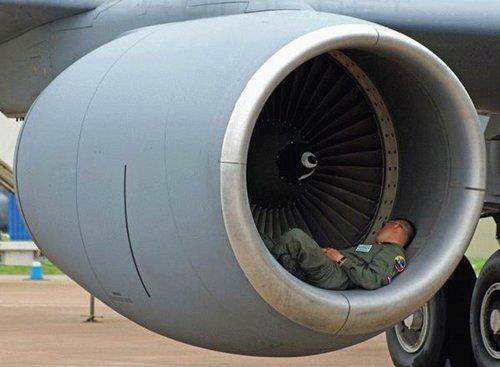 The reason soldiers can take their nap anywhere they want creatively - that is with no supervision. Noting Aristotle: We make war that we may live in peace. We take a deep sleep that we may live in a more peaceful way. "I believe that man is the strongest soldier for daring to die unarmed."